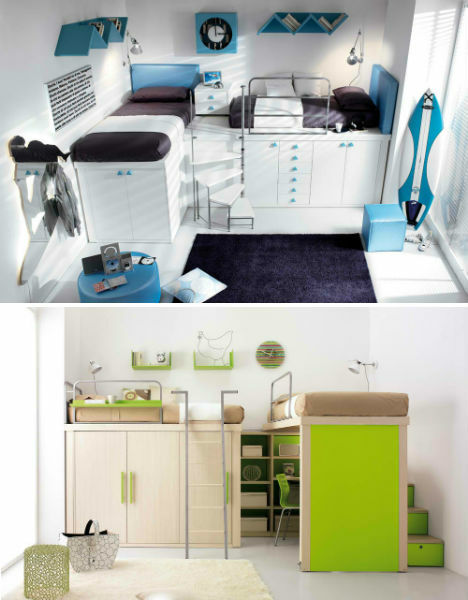 Packing maximum function into tight spaces, Italian furniture maker Tumidei offers bright lofted bedroom sets with everything a kid needs built right in. 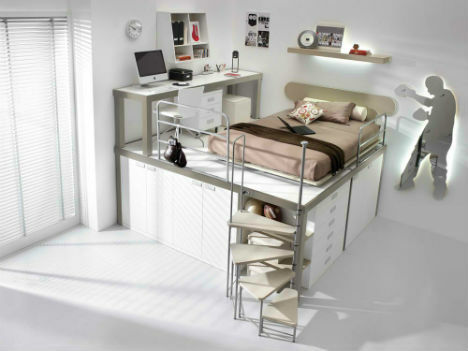 These modern, compact and often modular all-in-one interiors hide extra beds under platforms, elevate study spaces and include lots of storage room. Available in virtually any color scheme, Tumidei’s lofted bedroom sets for children and teenagers have lots of slide-out components that save valuable square footage when not in use. Beds disappear under elevated platforms that take advantage of ceiling height to maximize available space. Many of these sets are ideal for multiple kids sharing a room, offering distinct space for each child without sacrificing looks and organization. 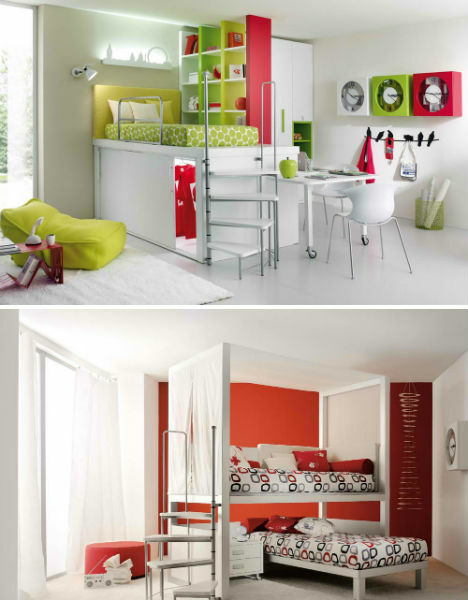 Twin beds are placed on top of cabinets to keep clutter at bay, desks are shared and stairs double as drawers. Tumidei also makes furniture sets for adults. All materials used are ecologically friendly, meeting European requirements for low formaldehyde content and non-toxic paints. See more space-saving room ideas on their website.